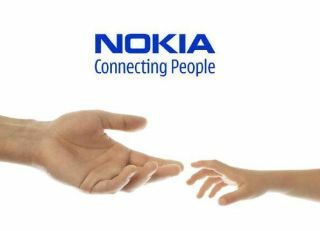 Nokia has hit back at Apple's claims that its iPhone 4 isn't the only phone in the world to suffer the widely publicised issues over reception. "Antenna design is a complex subject and has been a core competence at Nokia for decades, across hundreds of phone models. Nokia was the pioneer in internal antennas; the Nokia 8810, launched in 1998, was the first commercial phone with this feature." "Nokia has invested thousands of man hours in studying human behaviour, including how people hold their phones for calls, music playing, web browsing and so on. "As you would expect from a company focused on connecting people, we prioritize antenna performance over physical design if they are ever in conflict. "Nokia has invested thousands of man hours in studying how people hold their phones and allows for this in designs, for example by having antennas both at the top and bottom of the phone and by careful selection of materials and their use in the mechanical design." "Approximately 0.016% of customers," Eric Lin HTC's PR and online community manager told Pocket-Lint. "We have had very few complaints about signal or antenna problems on the Eris".